Project Assistant: Applicants who have completed B. Arch, M.Sc. (Biotechnology), B. Tech, Diploma(Civil/ Mechanical), B. Tech. (Computer Science), M.Tech. (Structures/ Geotech. Engg. ), M.Sc. (Chemistry) with minimum 55% marks or equivalent from a recognized Institute for CSIR-CBRI Recruitment 2018. Junior Project Fellow: Applicants who have completed M.Sc./ M. Tech. In Geology/ Applied Geology without NET qualification or equivalent from a recognized Institute for CSIR-CBRI Recruitment 2018. Junior Research Fellow: Applicants who have completed M.Sc./ M. Tech. in Geology/ Applied Geology with NET qualification, B. Tech. (Civil Engg.) with minimum 55% marks or equivalent from a recognized Institute for CSIR Recruitment 2018. Senior Research Fellow: Applicants who have completed M. Arch. with 55% marks or equivalent from a recognized Institute for CSIR-CBRI Recruitment 2018. 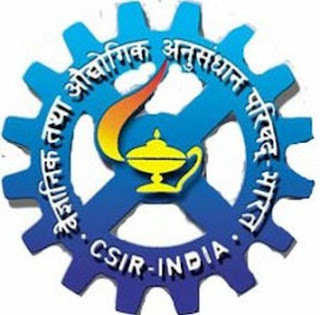 Eligible Candidates advised to Download and read CSIR- CBRI Job notification to get aware of recruitment schedule and venue from the official website. Walk-In: 02.07.2018 to 06.07.2018 @ 08.00 Hrs to 09.00 Hrs.